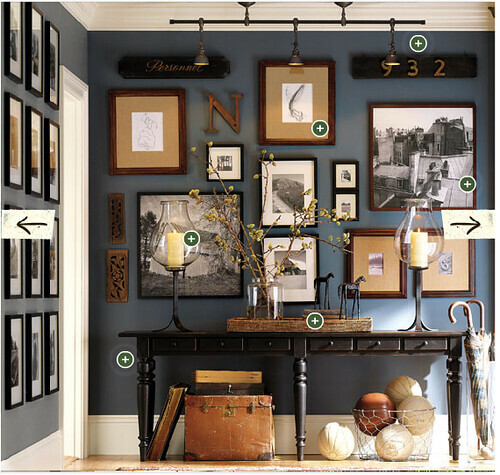 I always need new ideas for wall displays. Every room has at least one blank wall to tackle, and it's easy to quickly run out of steam trying to think of something new and interesting to hang. As lame as it sounds, sometimes you can find some great inspiration in store catalogs. An interesting arrangement of photographs. Hanging shelves in a corner is something I've never done before. Using magazine holders as wall decor is a great idea. 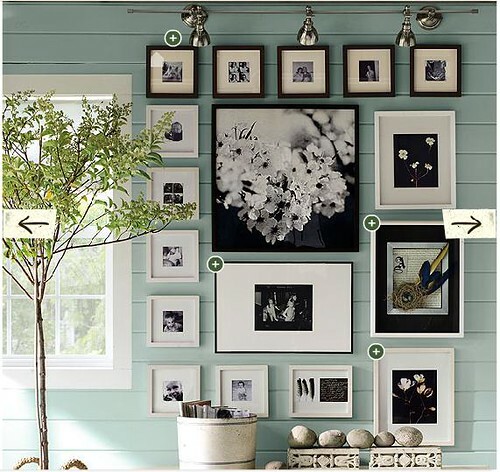 Love this gallery wall, it shows that you shouldn't be afraid to go big. Notice how the arrangement reaches all the way to the ceiling. A grid arrangement of cork boards is functional and chic. the first photo I love, I actually have a copy of that in my design files! love it!